Of course, it’s not only celebrities who are dying by suicide. 12 Canadians die by suicide every day. Suicide is caused by deep, psychological pain. Whether we are trying to comprehend a celebrity suicide, or that of someone close, the belief that one “big, bad thing” thing causes a person to die by suicide is inaccurate and harmful. Most people get to that place of hopelessness after struggling internally for a prolonged period of time, and not because of a single life event. It is a struggle that may come with warning signs including a marked change in behaviour, references to suicide and giving away possessions. We can help by sitting with those who are struggling, and by listening without trying to offer solutions. If you see the signs, you can ask directly, ‘Are you thinking of suicide?’ If the answer is yes, sit with them, and listen to them. Remain calm, open and non-judgmental and then connect them to help by calling Crisis Services Canada at 1-833-456-4566. If you are in crisis and living in BC, call 1-800-SUICIDE (1-800-784-2433), or chat at crisiscentrechat.ca. First Nations people and Inuit can also call 1-800-588-8717 or chat at hopeforwellness.ca. CMHA Vancouver-Fraser offers various training programs on suicide prevention and mental health. If you would like to gain more tools to help those who may be having thoughts of suicide or struggling with mental health problems, check out our education programs. Vancouver, B.C. 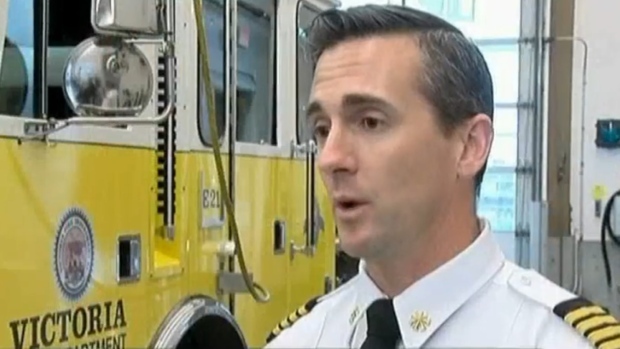 – The Canadian Mental Health Association (CMHA) is partnering with the BC Professional Fire Fighters Association (BCPFFA) to offer mental health training to firefighters across the province over the next 18 months. Approximately 1,200 firefighters will benefit from CMHA’s Resilient Minds course, a comprehensive, four-module prevention program designed specifically for first responders to support them in areas of psychological trauma and workplace stress. “Firefighters across the province are being asked to respond to increasingly complex situations and are experiencing mounting pressures in their work. There is a strong need to ensure that they are prepared for the various situations they face on a daily basis and that they have the necessary skills to bounce back after difficult experiences” explains Bev Gutray, CEO, CMHA BC. The Resilient Minds course educates first responders about trauma so they know how to recognize signs of illness and so that can get support sooner. The program is unique in that it is co-delivered by a CMHA trainer and a firefighter. The collaborative approach is key to its success. Previous participants in the training described it as some of the best training they had received. In 2017, 80 firefighters will be trained to become Resilient Minds trainers. These ‘train the trainer’ sessions will take place in the Lower Mainland, Prince George and Kelowna. Vancouver Island has already committed to train approximately 40 trainers to serve their region. Each of these trainers will then train a minimum of 15 firefighters in local halls around British Columbia. The BCPFFA and WorksafeBC will be providing funding to support the provincial roll out of this training. 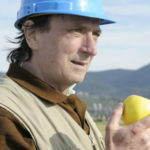 The program was piloted in 2016-2017. VFRS funded the curriculum research and development process, train-the-trainer program, and workshop materials. WorkSafeBC funded the evaluation process. Vancouver, BC – The Vancouver Mental Health and Addictions Systems Barrier Report – 2015/2016, recently released by the Canadian Mental Health Association, Vancouver-Fraser Branch (CMHA-VF), draws on the experience of individuals accessing CMHA-VF’s Peer Navigator Program as they try to find their way through the complex mental health and addictions services (and other associated social support systems) in Vancouver. The report identifies obstacles individuals encounter every day while trying to improve their wellness by accessing housing, income support, primary health care, mental health and addictions care in Vancouver. The Report also provides concrete and detailed recommendations to make the system better for people trying to access it. 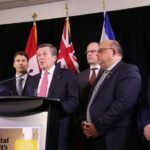 A few key areas of concern identified in the report are the lack of availability of subsidized and affordable housing, limited access to health services including primary health care, diagnosis and treatment, consumer education and engagement, and societal stigma related to mental illness and addictions. A unique feature of the report is “David’s Story”, a narrative of an individual living with mental health and addictions problems. In order to illustrate the complex interactions between barriers, readers follow David on his journey trying to navigate through Vancouver’s mental health and addictions systems with the help of a Peer Navigator. The story provides a realistic understanding of both the challenges encountered, and how a CMHA-VF Peer Navigator can help and empower people trying to access supports. “David is a fictional character our team created based on the experiences we hear from our program participants every day and on our own experiences in the mental health and addiction systems”, says Jill Aalhus, Peer Navigator and lead author of the report. Meet ‘David’ and learn about how our mental health and addictions system could become more accessible to those who need it most by reading the full report at: [https://vancouver-fraser.cmha.bc.ca/programs-services/peer-navigator-peer-support/]. 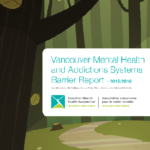 CMHA-VF will also be distributing copies of the Report to health and social services agencies in Vancouver. 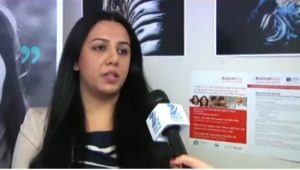 The link below will take you to ZEE TV and a recent interview that features Tanya Kohli, our Punjabi speaking Bounce Back Coach. The interview is in Punjabi, but is focused on Bounce Back and the possibility of receiving the coaching in Punjabi. The Bounce Back information starts at 11:30 minutes into the video. The Victoria Fire Department is partnering with the Canadian Mental Health Association to help address post-traumatic stress among first responders who report facing a 10-fold increase in overdose calls. Vancouver, B.C. – It seems there is a lot more uncertainty in the world today: government leaders around the globe divide opinions, concerns of terrorism are on the rise, and bigger policy changes are happening in many Western countries. It’s on the news, across social media platforms, in conversations with family, friends, and co-workers. The more we tune in, the more we notice even minor issues becoming amplified until every single comment can feel like another step towards catastrophe. As a result, some people today say that they look to the future with a sense of unease and uncertainty. CMHA BC offers five tips on finding hope and taking a step back to look at the bigger picture. Take action on factors or variables you do control. “Uncertainty is not helplessness. You may not be able to change outcomes or predict the future on a larger scale, but there may still be pieces you can control,” says Hamid-Balma. For example, you can’t predict or control a natural disaster like an earthquake. An unhelpful response is to do nothing but worry about the possibility. An empowering response is to assemble an emergency kit for your home, make a plan with your family, and educate yourself on earthquake safety. Think critically and check the facts—even when you agree with the message. Just because it looks like news or calls itself news doesn’t mean it really is news. Many messages are meant to appeal to emotions rather than facts. Critical thinking skills—like looking at the author and the evidence behind the message—can help you evaluate claims and separate opinions, rumours, and fake news from factual news. Your needs come first. If you have a hard time prioritizing your own care, consider disconnecting from social media, turning off the news, setting your phone aside, or scheduling self-care for a specific period of time each day. Remember that you can contribute or help others most effectively when you are taking care of yourself. A little radical acceptance can go a long way. “There will always be uncertainty, upsetting or scary stories in the news, hurtful comments, and conflicting opinions. Getting angry or upset hurts you, but it doesn’t actually change whatever angered or upset you,” says Hamid-Balma. Holding onto that anger or fear only traps you in the past. Instead, acknowledge that it happened and the feelings it evoked, acknowledge that you can’t change the past or other people, and acknowledge what you might be able to do now. Acceptance is also one feature of mindfulness, a skill anyone can practice to live more fully in the present moment. Choose your battles wisely. Recognize when investing time and energy is helpful and when it can be harmful. You probably won’t change someone’s mind arguing on social media, for example. “A more likely outcome is that you will walk away feeling angry or upset,” says Hamid-Balma. For more tips and resources on living well despite uncertainty, see CMHA’s full resource at www.heretohelp.bc.ca/uncertainty.